Aviation Updates Philippines - Airbus is presenting a development study for an enhanced A380, the “A380plus”. The study includes aerodynamic improvements in particular new, large winglets and other wing refinements that allow for up to 4% fuel burn savings. 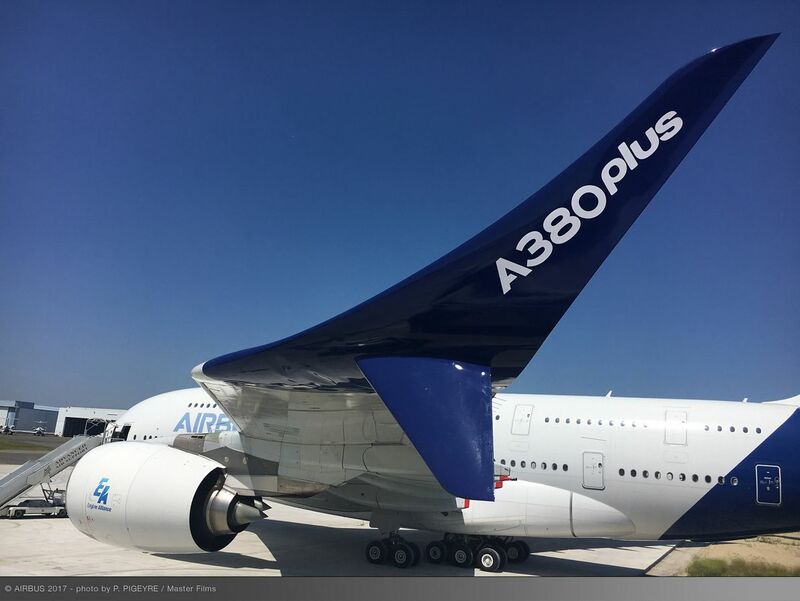 Added to an optimised A380 maintenance programme and the enhanced cabin features first shown at Aircraft Interiors Expo (AIX) in April, the overall benefit is a 13% cost per seat reduction versus today’s A380. WINGLET. The large winglets will enable A380 operators to reduce fuel burn by 4 percent. Photo by Airbus. INFOGRAPHIC. 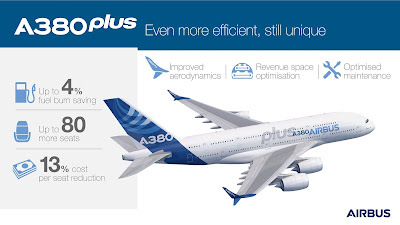 Airbus is presenting a development study for an enhanced A380, the "A380plus".